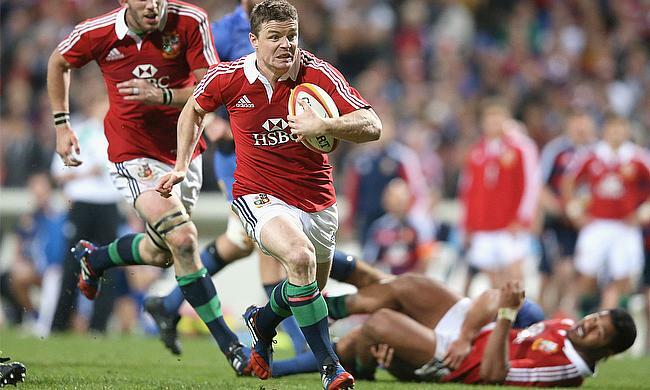 The British and Irish Lions’ series draw against New Zealand this summer was good for the Lions’ brand according to former captain Brian O’Driscoll. New Zealand beat the Tourists 30-15 in the first test before the Lions sneaked a 24-21 victory in the second match after Sonny Bill Williams was given an early red card for the All Blacks. The final test ended in a 15-15 draw despite both sides having opportunities to pinch a win at the end. This led to a drawn series with Kiwi skipper Kieran Read and Lions’ captain Sam Warburton lifting the trophy together. “In the end, like everyone else, I felt it was a small bit anti-climatic but at the same time it was great from the Lions’ brand point of view that they were able to achieve a drawn series,” said O’Driscoll. “I think even winning a test match was important. As a punter would you have taken that at the start? Probably. Having beaten Australia 2-1 in 2013, and achieved a drawn series with New Zealand earlier this year, the Lions will be hoping to continue their good form in four years time but O’Driscoll didn’t want to make any predictions so far out. “In four years’ time South African rugby will be in a very different place,” he explained. O’Driscoll was in New Zealand for the Lions tour and presented the squad with their jerseys ahead of the first test match. Due to his close proximity to the tour, did O’Driscoll wish he could step back out onto the pitch to face down the All Blacks one last time? “Not really, to be honest with you,” he said. “I think you’re only a bit envious of them when they’re on their lap of honour in the second test but you don’t want any of the hardships. “You want just the upside but not the downsides of having to take all those impacts but no I think I’m far enough removed from the game to not feel the envy anymore.